Who’s in the mood for a wig-flippin’ wing ding? JourneyCare is! We’ll be jumping and jiving to the swing music from the Michael McGrath Orchestra with the help of Big City Swing Dance Troupe. No ration on libations! There will be an open bar, a three-course dinner, live auctions, raffles and more. Make sure you are decked out in some swell digs for the costume contest! There will be prizes for singles, couples and groups. Here’s the best part: all the proceeds go straight to our All About Kids program. Now isn’t that the cat’s meow? – Check out pictures from last year’s Decades Dance: The Sixties. For more information, call Julie Linnekin at 224-287-3895. 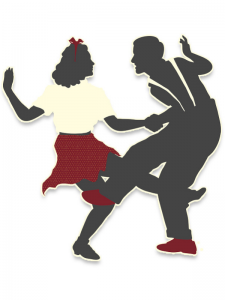 Check out the Jump & Jive Raffle! Buy tickets below to win your choice of one vacation destination. Click here to learn more.